Most kids enjoy a good water game. With this simple activity, kids will have fun with water and occupy themselves for a while so you can focus on other things like making dinner. We at Kids Activities Blog love activities like this that can keep kids happy and entertained on their own for a while so you can catch your breath from the busy-ness of the day. Enjoy! I embrace the thought that a little change is as good as a holiday and let the kids play an incredibly simple water game called waterfall. Whenever we pass by any pond, fountain or well, there are always coins to be found in the water. 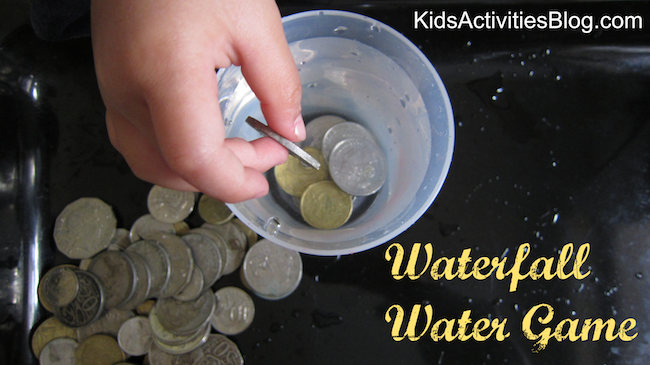 This water game is a mini version of our fascination with putting coins into water. You can take this game outside, or if you don’t mind playing it inside, you may get water over your bench or floor. Water play is a great kitchen activity and my kids enjoy playing this water game in our kitchen. A safety note regarding the small small items (coins) used in this game. These small items may constitute a choking risk for small children and require close adult supervision. 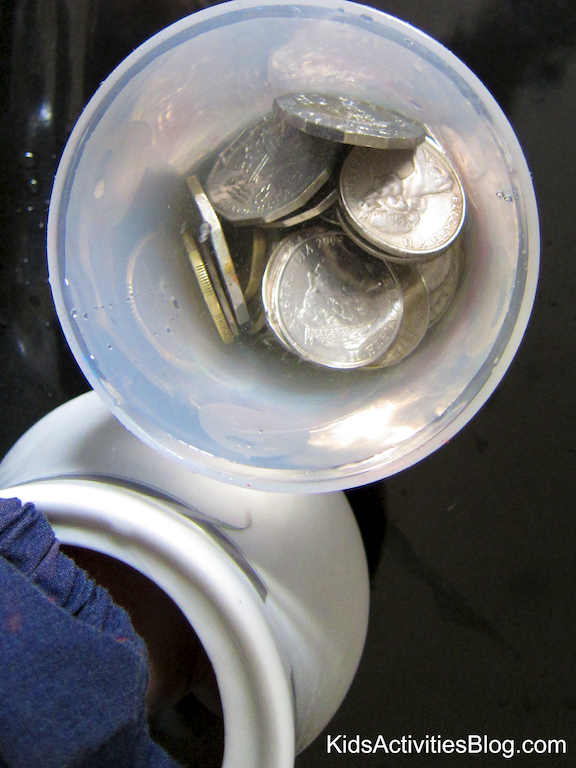 You’ll need: coins; a small container (like a cup or bowl); water. If you’re playing this game on your kitchen bench like us, use a large baking tray to contain the water overflow. This makes cleaning up much easier. Fill the small container almost to the brim with water. Give each child a good supply of coins. Take turns dropping a coin into the small container. (You could even make a wish with each coin drop). 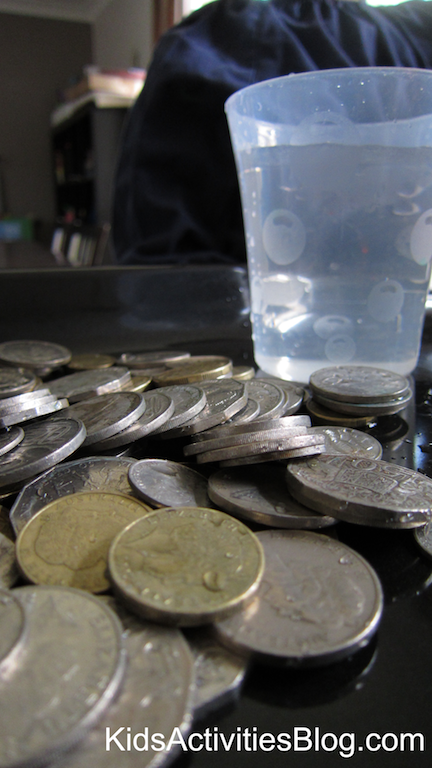 The game ends when someone drops in the coin that makes the water overflow. Simple and fun to the core: my kind of play! Your idea coincides with mine.and I think its better.